What if you were in control of your Destiny… Your Ice-Cream Destiny, that is. When you come into Serendipity Home Made Ice Cream, pick your flavor, pick your topping, your scoop size, and have it served up in one of Serendipity’s made fresh daily waffle cones or bowls… have a Bon-Bon or Dipstick… Your desire, your destiny. There is more being served up at Serendipity than Ice-Cream… Along with the creative genius of Beckie Jacobs and her Chef, who concocts some the most delicious and unique flavors, handmade from the best wholesome ingredients (you can choose from over 28 flavors everyday (Yum! ))… Moments are being created every day and have been since the doors opened in 2003. Want a little get-away… take a little jaunt to Downtown Webster Groves and stop by Serendipity Home Made Ice Cream. 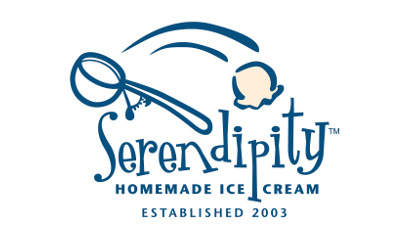 Not only does Serendipity Home Made Ice-Cream have their lovely storefront in downtown Webster, they also have a thriving Wholesale business, serving over 100 restaurants in the St. Louis metro area, including 2 restaurants in the Westplex. You can also have Serendipity enhance your Corporate or family event. (Click here to go to the restaurants that carry the deliciousness of Serendipity Home Made Ice Cream). This Is My Biz shined the spotlight on Serendipity Home Made Ice Cream when Shelley Barr had Beckie Jacobs in the Q Studio. 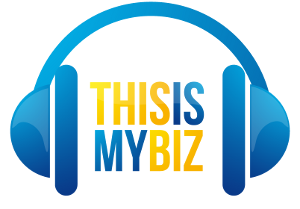 Below is the interview which will be broadcast on KSLQ 104.5 Saturday, August 2nd, at 9:30 AM on the “This is My Biz” radio show.